Lightweight manual wheelchair, the Mobi-Lite, is a lightweight manual wheelchair that is easy to transport, with quick release wheels, stows away into the smallest of vehicles, has adjustable armrests and footrests, then look no further than our Mobi-Lite aluminium wheelchair. SKU: MSMobiLite. 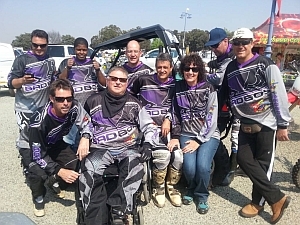 Category: Manual Wheelchairs. 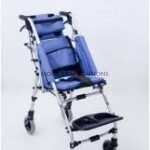 Tags: Aluminium Wheelchair, Lightweight Wheelchair, Manual Wheelchair, Wheelchair. Our Mobi-Lite Lightweight Manual Wheelchair is an economy aluminium chair that is a good choice for people looking for a lightweight chair that is easy to fold, light to lift & easy to get in and out of vehicles. This full aluminium chair has quick release wheels that makes it so easy to transport, and, it will also fit into the smallest of cars. Height adjustable footrests that flip black for easy transferring, flip back armrests and an attractive silver frame plus 8 x 1 Castor wheels allow for excellent manoeuvrability. 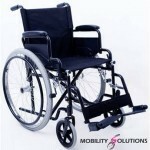 The weight is approx 15 kgs folded and with the wheels off it weighs much less and is really easy to lift up and down. We recommended this chair for anyone who uses a vehicle a lot as it won’t wear out the carer’s back lifting it in and out of the vehicle. The actual weight of a wheelchair is a very important consideration when choosing a wheelchair for yourself or your loved one and this one fits the bill in terms of lightness. 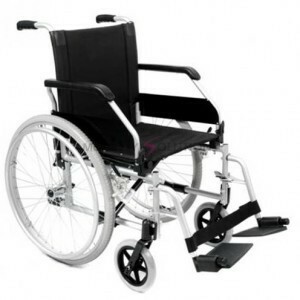 Be the first to review “Lightweight Manual Wheelchair” Click here to cancel reply.